Rabbit is my chicken, my white meat. 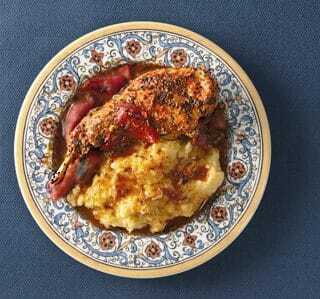 I eat rabbit as often as I can, which is not as often as I should like, but it is still enough that I am always in search of new and interesting rabbit recipes. Every time I buy a new cookbook, I flip to the index and look under “R,” hoping to see a rabbit recipe I’ve not yet cooked. It was rabbit that first sent me into the field with a gun. Most people start their journey as a hunter in search of mighty bucks or gaudy turkeys or nervous, flighty ducks. Not me. I first took up a gun so I could catch my own rabbits for the pot. Rabbits are the krill of the woods — numerous, fecund, and eaten by almost everything else on the food chain. All the world will be your enemy, Prince with a Thousand Enemies, and when they catch you, they will kill you… but first they must catch you. Nothing truer was ever said. I miss far more rabbits that I kill, so when I have one in hand I treat it well. Holly went so far as to collect a whole notebook of rabbit recipes for me one winter and gave it to me as a Christmas present. I could write a whole rabbit cookbook if I wanted, and maybe I should. Someday. If I do, this recipe will be in it. 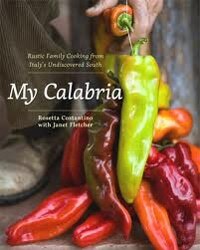 It is my take on a dish in one of the more interesting Italian regional cookbooks I’ve yet read, Rosetta Costantino and Janet Fletcher’s My Calabria: Rustic Family Cooking from Italy’s Undiscovered South. This book is a trove of cool information, from making rustic breads to pasta to cheeses and preserves; I will be cooking from it often. I was especially happy to hear that the Calabrians take culinary inspiration from the humble rabbit, and this dish is an exemplar of that, although I suspect I know where it originally comes from. Costantino’s recipe hinges on lots of red peppers and paprika. There is another dish I cook very often that also hinges on lots of red peppers and paprika: Chilindron, the magnificent Spanish stew typically made with lamb, chicken… or rabbit. The Spaniards spent some time lording over Calabria during the Renaissance, and it is possible that the dish originated in Spain — or that the Spanish dish originated in Calabria. No matter, both versions are wonderful. What makes the Calabrian dish special is that typical Southern Italian habit of simmering meats without browning. This aversion to the Maillard reaction preserves the delicacy in many meats, which is especially important in rabbit, but which also does wonders for bolder meats such as venison: I make a Puglian venison stew called callaredda that also skips the browning step. Either wild or domestic rabbit works well here, but remember that a domestic rabbit will serve two or three people and a cottontail will serve only one, or maybe two. 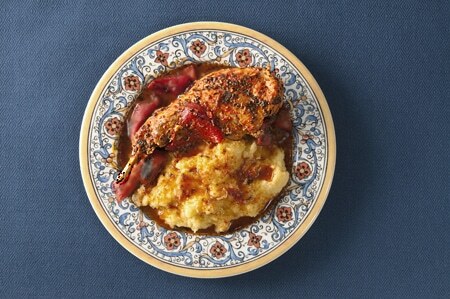 If you want to stretch things a bit, serve this with lots of crusty bread, polenta or short pasta. Cut the rabbits into serving pieces. Here is a primer on how to cut up a rabbit. Find a wide, shallow pot. A large, high-sided saute pan is a good choice, but one of those earthen braziers is even better. Arrange the rabbit pieces in the pot and just barely cover with water. Bring to a simmer and add a healthy pinch of salt and the bay leaves. Skim any scum that forms on the surface of the water. Simmer the rabbit uncovered for 1 hour, turning the pieces from time to time as the water cooks away; this keeps both sides moist. Add the remaining ingredients and mix well. Keep turning the rabbit and sausage pieces so they are coated in the sauce, and when it thickens enough -- about another 10-15 minutes -- you are ready to serve. It may differ at times but the base of the dish is the same..